Rowman & Littlefield Publishers, 9781538104934, 320pp. The romance between F. Scott Fitzgerald and Zelda Sayre has been celebrated as one of the greatest of the 20th century. From the beginning, their relationship was a tumultuous one, in which the couple's excesses were as widely known as their passion for each other. Despite their love, both Scott and Zelda engaged in flirtations that threatened to tear the couple apart. But none had a more profound impact on the two--and on Scott's writing--as the liaison between Zelda and a French aviator, Edouard Jozan. Though other biographies have written of Jozan as one of Scott's romantic rivals, accounts of the pilot's effect on the couple have been superficial at best. 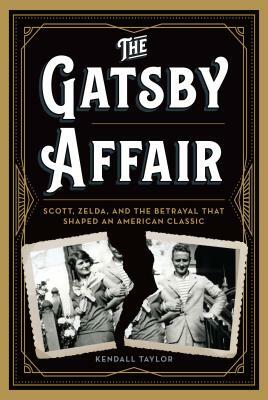 In The Gatsby Affair: Scott, Zelda, and the Betrayal That Shaped an American Classic, Kendall Taylor examines the dalliance between the southern belle and the French pilot from a fresh perspective. Drawing on conversations and correspondence with Jozan's daughter, as well as materials from the Jozan family archives, Taylor sheds new light on this romantic triangle. More than just a casual fling, Zelda's tryst with Edouard affected Scott as much as it did his wife--and ultimately influenced the author's most famous creation, Jay Gatsby. Were it not for Zelda's affair with the pilot, Scott's novel might be less about betrayal and more about lost illusions. Exploring the private motives of these public figures, Taylor offers new explanations for their behavior. In addition to the love triangle that included Jozan, Taylor also delves into an earlier event in Zelda's life--a sexual assault she suffered as a teenager--one that affected her future relationships. Both a literary study and a probing look at an iconic couple's psychological makeup, The Gatsby Affair offers readers a bold interpretation of how one of America's greatest novels was influenced. Kendall Taylor, Ph.D., is a cultural historian who has taught at George Washington University, The American University, and State University of New York. She also served as Head of the National Exhibitions Program at the Library of Congress, Academic Director of The American University's Washington Semester Program in Art and Architecture, and Vice President for Planning, Research, and Institutional Advancement at Friends World College in Huntington, Long Island. A Fulbright scholar and winner of numerous awards, Taylor is the author of the critically acclaimed biography of the Fitzgeralds, Sometimes Madness Is Wisdom, which was published in 2001. She lives in New York and Florida.